Lombard Odier & Cie is one of the largest banks in Switzerland. The bank offers a wide array of financial advisory services in wealth management and financial services to both private and institutional entities. Lombard Odier & Cie forwarded its SEC 13F Filings on November 14, 2014, for the third quarter ended September 30, 2014. The filings show that the firm’s top three biggest holdings are Intel Corporation (NASDAQ:INTC), Suncor Energy Inc. (TSE:SU), and Apple Inc. (NASDAQ:AAPL). According to the filings, Intel Corporation (NASDAQ:INTC) was the largest investment of Lombard Odier & Cie, having investment value of $7.29 million. 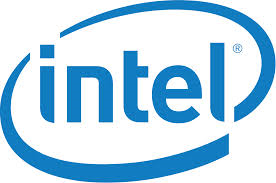 Intel Corporation (NASDAQ:INTC) is one of the world’s largest semi-conductor chip makers. The company designs, manufactures, and sells computers chips and a host of other related products. The company is having a high growth potential, especially in server component of its business. This is due to the high growth in devices that are connecting to servers for exchange of information. Suncor Energy Inc. (TSE:SU) came out second with investment totaling to $6.96 million in value. Suncor Energy Inc. (TSE:SU) is an integrated energy company based Calgary, Alberta. The company is focused on developing the Athabasca oil sands basin. It extracts and upgrades oil sands into refinery feedback and diesel fuel. Some of its other services are extraction and development of natural gas, crude oil, as well as marketing diverse petrochemical and petroleum products. The company posted lower profits for the third quarter, having net earnings of $919 million. The fall in profits has been attributed to fall in oil prices. Apple Inc. (NASDAQ:AAPL) was the third biggest investment of Lombard Odier & Cie, accounting for investment worth $6.32 million. Apple Inc. (NASDAQ:AAPL) is currently the world’s most valuable company. The company produces high end gadgets for the global market, including smartphones, computers, tablets, and more. Apple Inc. (NASDAQ:AAPL) stock has become very stable in the market, going ahead to register an all time high of $114 on Friday November 14, 2014.